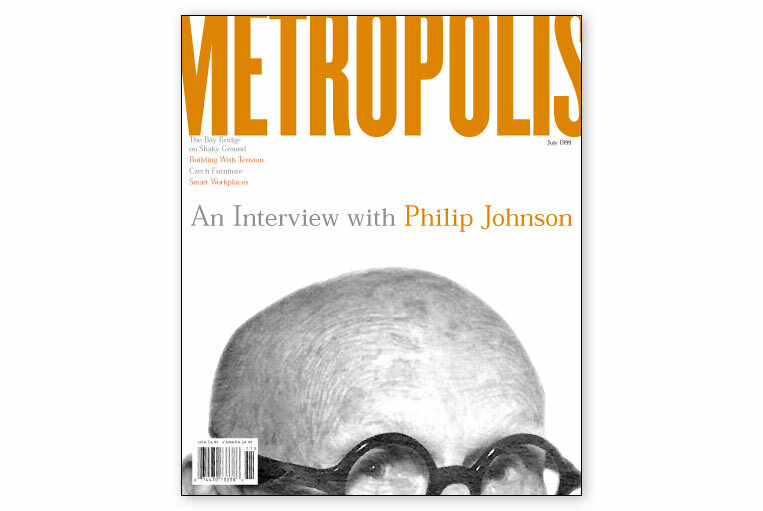 Working with Paula Scher and her team at Pentagram, we redesigned Metropolis, the architecture and design journal. 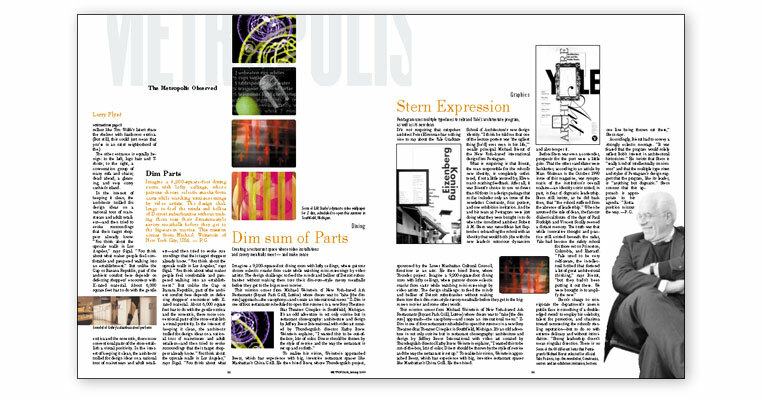 The magazine originated as a “downtown” or alternative publication, but it is essentially a serious journal of design. 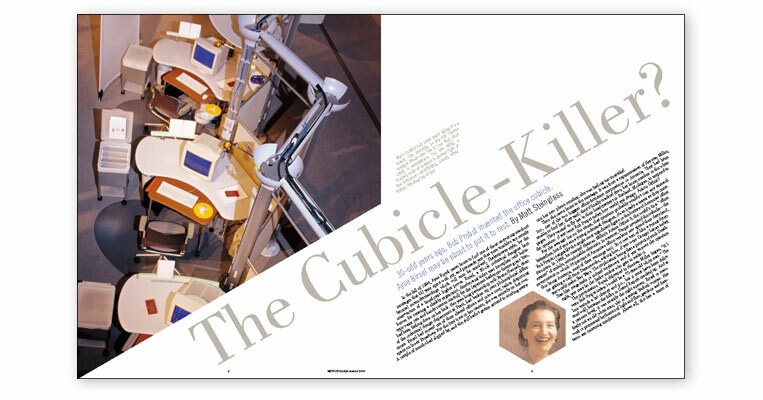 For the redesign we chose to focus on utility, to make the magazine more accessible. 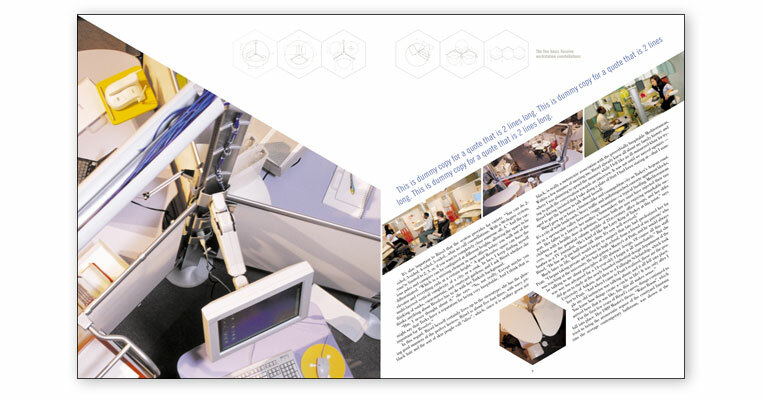 The publication was designed to be completely functional, and all design choices were made with the reader in mind. We established a strong interior structure and grid that is easy to navigate. 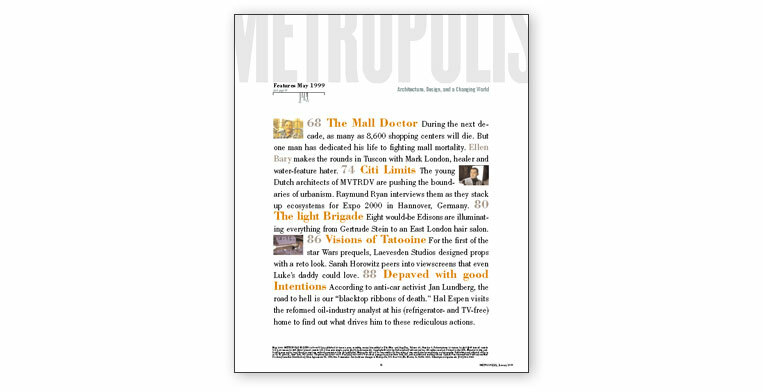 The dimensions were changed from an oversized vertical format to a squatter tabloid size, making issues easier to handle and display. Increased white space throughout the publication gave it a sense of ease, or utility. The typeface Bodoni Book was used for body copy, based on its easy legibility. In the table of contents a small graph was installed to show the reader where the editorial started in relationship to the advertising. 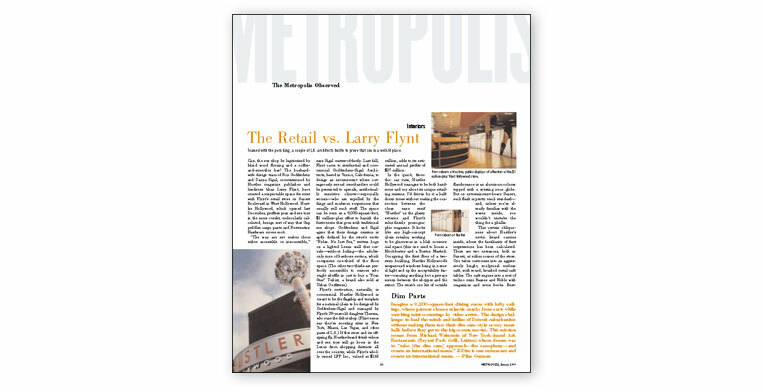 The logo on the cover was cropped to reflect the magazine’s new size, and it reappeared throughout the pages in a way that was active and cinematic––constantly in motion, like a city’s streets. In the departments, the logo ran from left to right, or up and down. In “Met Observed,” a department feature, it moved in and out of the frame until it completely disappeared.